Dunns Creek State park is proud to host a very special plant. 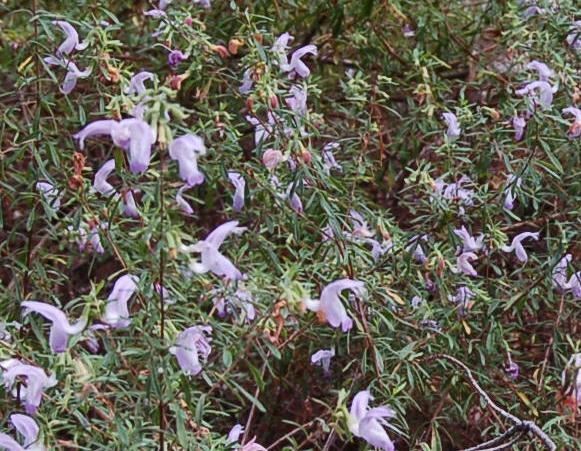 The Etoniah Rosemary is a rare, endangered shrub that is known to exists in the wild only in Putnam County. The only occurrences of Etoniah Rosemary are on 13 sites on public land and 6 sites on private land. The publicly owned sites are located within Dunns Creek State Park and Etoniah Creek State Forest near Florahome. Inside the park the Etonia Rosemary is found on unused trails in the sandy hills near the center of the park. These areas are protected and disturbing their habitat is strictly prohibited. Here is the official description of the beautiful but rare guest in the park.